Tommaso Ciampa has become one of the greatest heels on WWE TV in the present era after turning on his long-time friend Johnny Gargano back in 2017. Ciampa and Gargano are former NXT Tag Team Champions, but when The Black Heart realized that Gargano could easily replace him when he suffered a knee injury he decided to take matters into his own hands. Ciampa became the most hated man in WWE and over the past two years he has been able to use this villainous persona to push his career forward, to the point where he is now on the main roster alongside Gargano and incredibly the duo are back on the same page. It's been an interesting few years for Ciampa in WWE and here are some of the biggest things that the WWE Universe need to know about the current NXT Champion. There are a number of current WWE superstars who had cameos in the company before they were signed to lucrative deals and Tommaso Ciampa is another name on this list. 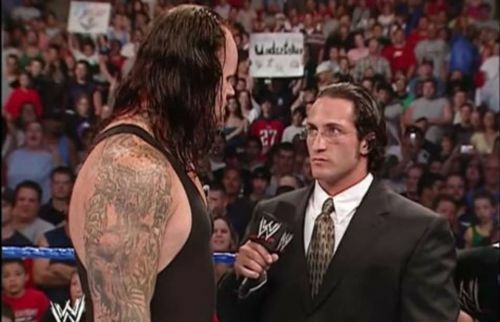 The former NXT star made his debut for WWE more than a decade ago when he appeared as Thomas Whitney, ESQ a lawyer for Mohammed Hassan in his feud with The Undertaker. He later wrestled on Velocity under the ring name Demarso Whitney where he was defeated by Jamie Noble before he teamed with Kofi Kingston on an episode of Heat against the team of Lance Cade and Trevor Murdoch. 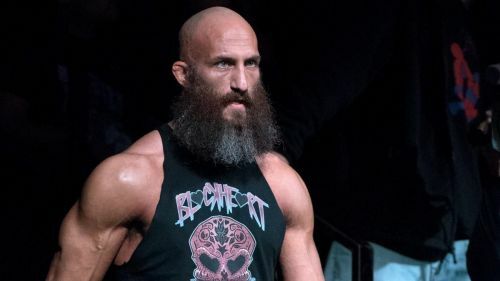 Ciampa went on to sign a developmental contract with WWE in 2007 and wrestled as Tommaso, but after just six months in Ohio Valley Wrestling's developmental division, the company decided to release him from his contract and he then decided to return to the Independent Circuit.